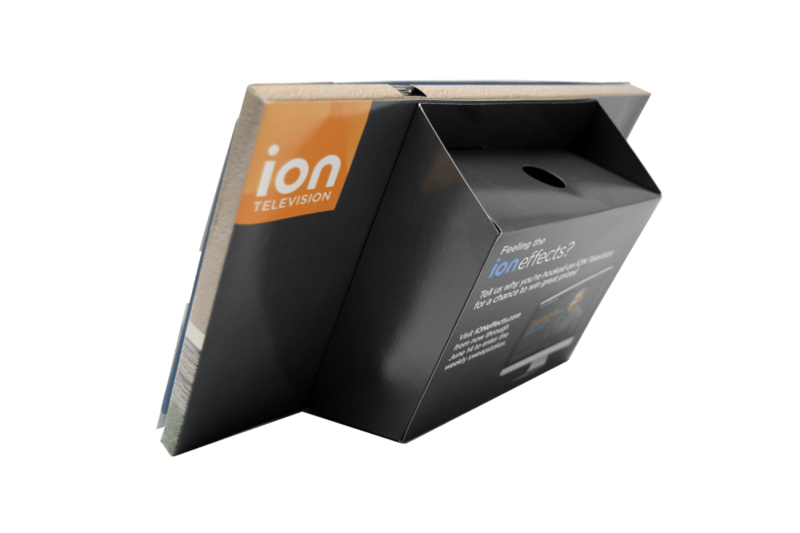 In the crowded media marketplace, ION Television Network needed an impressive piece to launch its upcoming programming line-up. Key media folks, influencers and affiliates are extremely busy and so ION knew it needed a creative way to engage and communicate with this important demographic. 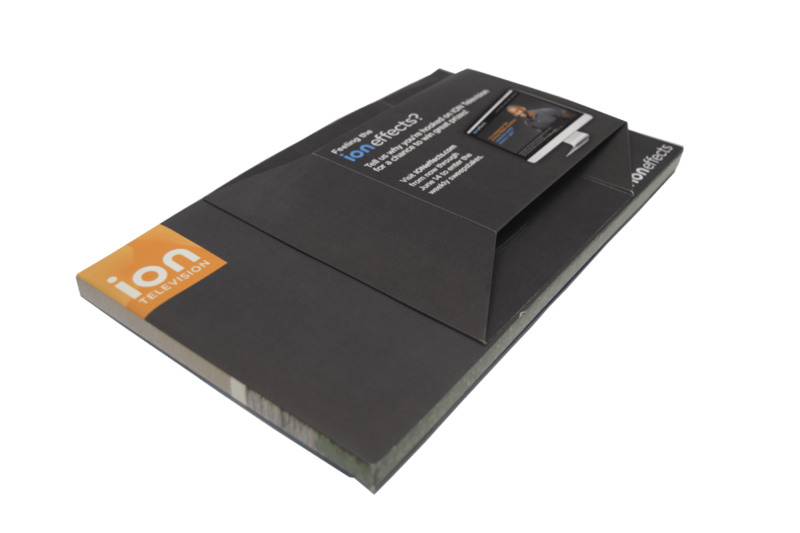 Having worked with Americhip in the past, ION was familiar with our creative toolbox and challenged our team to come up with a unique solution that combined our Digital and Multisensory Technologies. 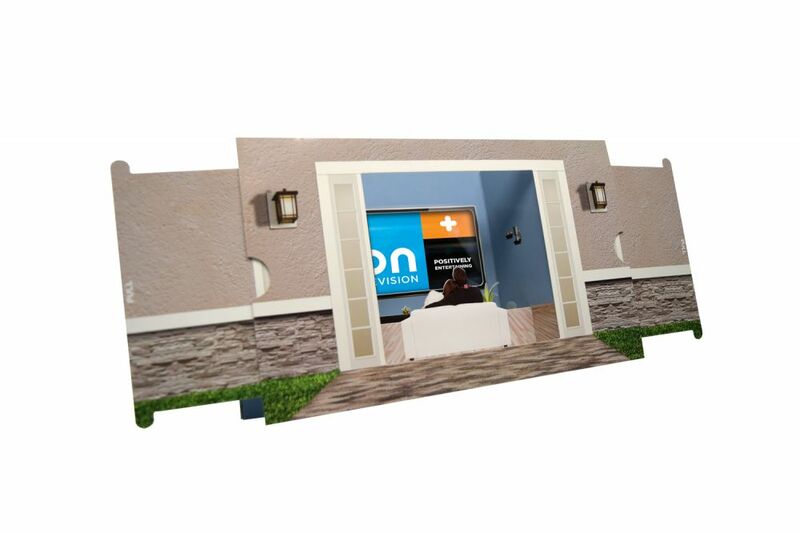 Never afraid of a challenge, Americhip’s Tech and Paper Engineers merged our 3-D Stage with our Video in Print Technology to create a first of its kind: our VIP Screen mounted in a live theater setting. 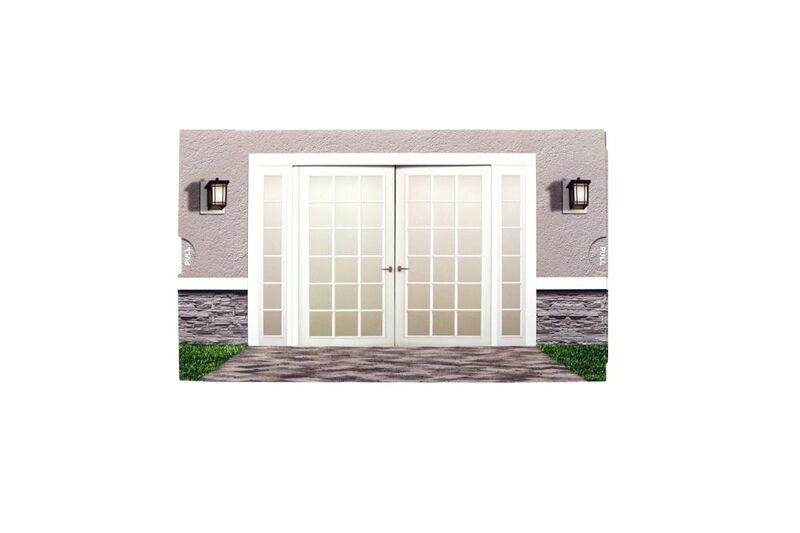 The front of the mailer shows a house with double doors with two visible pull tabs. With just a slight pull, consumers are immediately thrust into a familiar scene – people sitting on their couches in their living room watching TV. 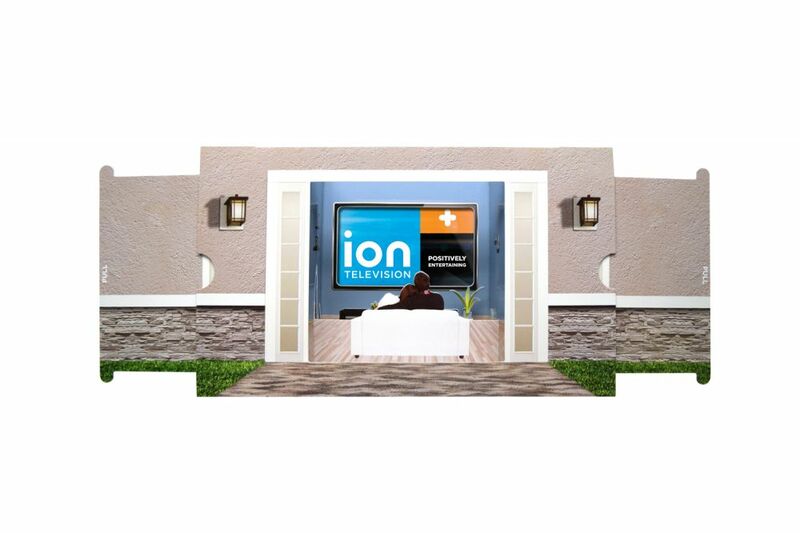 And, of course, that TV is permanently showing ION’s new and returning shows. 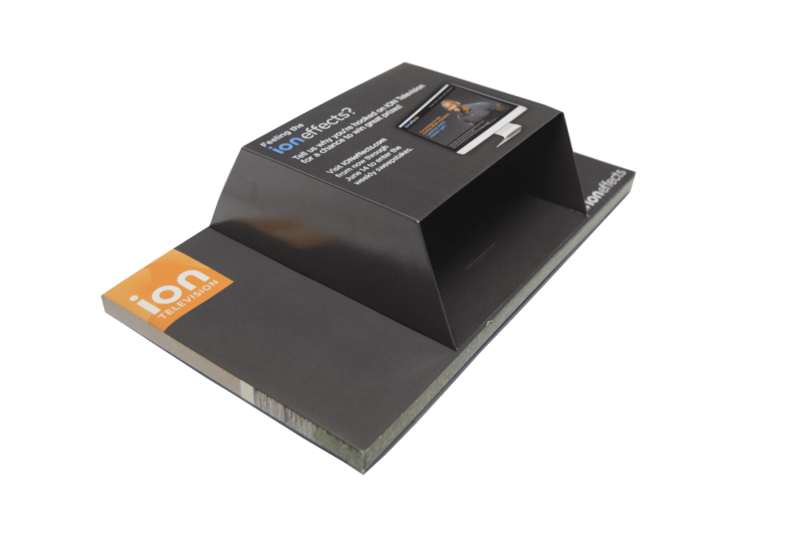 The ION Experience is communicated in a very real and engaging way. Let Americhip's team of experts help you create an engaging and effective marketing communication device for your next campaign.